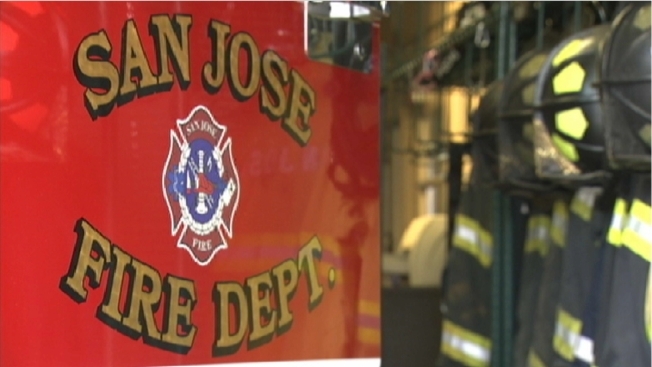 After internal documents showed that San Jose's fire department may never have met internal response times, Santa Clara County is asking another ambulance company for help to get San Jose's fire response times up to speed. The call for help comes after an NBC Bay Area investigation showed that the department's response times fell short of its contract. In a letter, the county asks private ambulance company Rural Metro to work with San Jose to improve emergency response times. Rural Metro already has a contract with the county, but is now being asked if it can provide even more service. County Executive Jeff Smith wrote that he hopes this teaming up may "Help the city attain consistent first responder times" he wrote, "Until a long term solution can be developed." Last week the Investigative Unit exposed San Jose's response times falling well below it's contractual requirement: to arrive at medical calls in under 8 minutes 90 percent of the time. The department had previously reported it was not making the 90 percent, but the Investigative Unit showed, the times were even lower than reported. San Jose had claimed it once met those times back in 2012, but internal documents obtained by the Investigative Unit through a public records request revealed that it may have never met that required response. Acting San Jose Fire Chief Ruben Torres spoke with NBC Bay Area last week in his first interview on the city's failing response times. "What I will need is to continue to add additional resources," he said. "But I don't think it's an easy fix as far as can I go from laying off 49 firefighters to all of a sudden achieving goals that were set prior to a recession." "It's going to take time for us to build back up to that." San Jose gets about $2.1 million a year from the county. Last week, that funding was revoked. Rural Metro responded to the county in a letter saying it accepted the invitation to "explore how Rural/Metro could temporarily deploy additional resources to assist San Jose while they work on a long-term solution." "We certainly will meet with County staff and Rural Metro, and we look forward to exploring potential options for improving EMS response times. I know we share the same goal of protecting the lives of our residents that the City and County both serve, and we're open to practical ideas that can help us all achieve this goal better by working together constructively." "San Jose Fire Department personnel are meeting and working closely with Santa Clara County EMS and Rural Metro personnel to find solutions for effective, timely responses. The Citizens of San Jose deserve the best Emergency Response Service available. The San Jose Fire Department will continue to provide that professional quality service as we continue to work with County EMS to lower response times."